A useful Hawaiian souvenir, these Island Hula Honeys, Too Stick 'n Notes are perfect for writing short notes or messages. With an adhesive strip on the back, leaving short reminders around your home or office is a great way to share the spirit of the Hawaiian islands with family and friends. Prefer to have an inventory of this product for gifts. 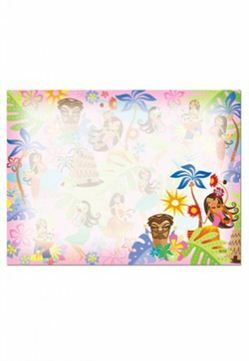 I love these tropical sticky note pads and give them away as gifts.